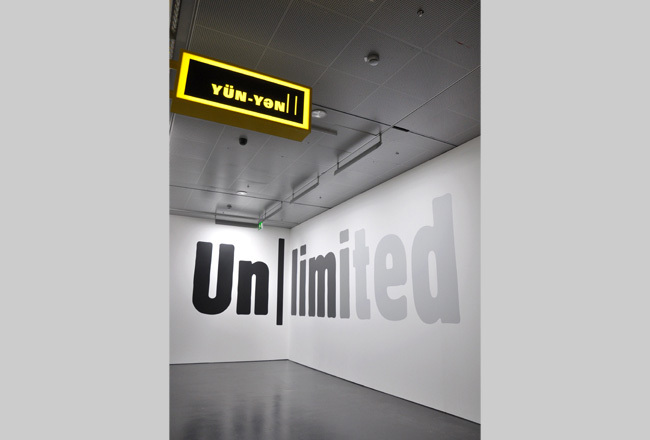 Two Signs Articulated is an installation that appropriates the visual identity of Western Union and Art Basel, commercial enterprises that operate at polar ends of the global economy. The signs are "articulated" in two senses of the term. First, they are juxtaposed to mark the interdependence between the world of real labor and the world of symbolic labor, between economies of cash and systems of capital. 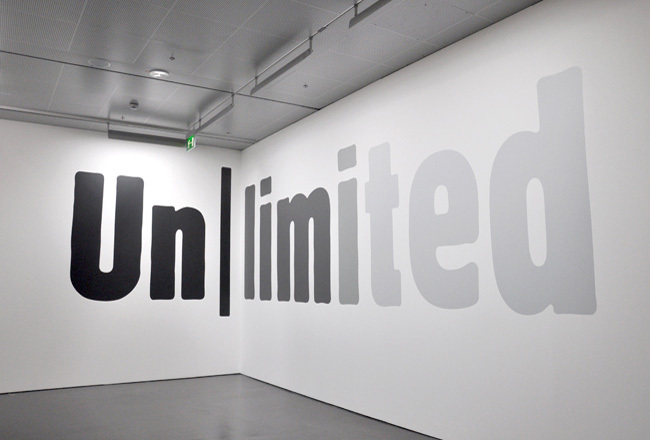 Secondly, each sign has been modified to reveal its implicit cultural ambition or social reality. 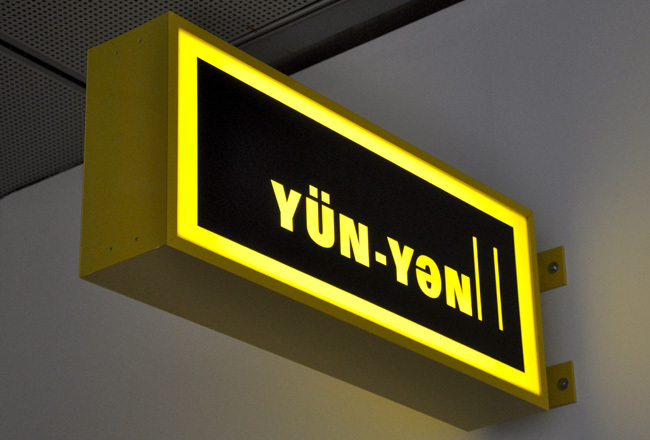 The bombastic language of Art Basel has been altered to express ambivalence and impermanence, while the Western Union logo has been converted into a phonetic system that points to the alterity the clientele that it profits from.